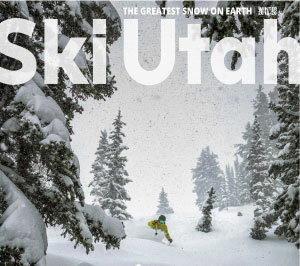 The Ski Utah Yeti Pass is the best way to ski 13 Utah resorts for only $649 (That's only $50 per resort). The Yeti Pass has limited quantities. The Yeti Pass is good for one lift ticket at 13 Utah ski and snowboard resort during the 2018-19 season. The Pass is nontransferable and can only be used by the pass holder. A photo ID must be presented with a completely intact Yeti Pass booklet resort voucher at any resort lift ticket window to receive a same-day lift pass. The Yeti Pass is the perfect companion for parents with students participating in the Ski Utah 5th and 6th Grade Passport program or anyone who has ever wanted to explore the state's 13 resorts. Deer Valley Resort does not honor the Yeti Pass: December 26 -31, 2018 and February 16 - 18, 2019.